Our world-class faculty consists of veteran Montessori teacher educators who have been working together for more than a quarter century and includes the 2018 AMS Living Legacies, D'Neil and Michael Duffy! 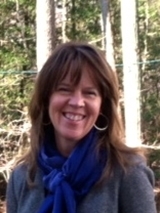 Lisa is an Upper Elementary teacher at Williamsburg Montessori School in the heart of Colonial Williamsburg, VA. She has 18 years of Montessori teaching experience, and spent 10 years in Arizona teaching and worked with CMTE/NY-Phoenix faculty. Prior to teaching, Lisa worked for Northern Arizona University and the National Park Service as Curator of paleontological and archeological collections. She holds a B.A. in Geo-biology from Valparaiso University, an M.S. in Quaternary paleontology from Northern Arizona University, and an AMS 6-12 credential (CMTE/NY). Robyn is a Montessori teacher educator, school consultant, field consultant, lecturer and workshop presenter, and has participated in training program accrediation work through AMS and as a MACTE on-site visitor. For nearly thirty years, Robyn worked with children as a Montessori teacher at the early childhood, lower and upper elementary levels. She was head of The New School in Cincinnati, Ohio, for fifteen years. Robyn earned a B.A. in English (SUNY Binghamton) and M.Ed. (Xavier University). She has AMS certification for Early Childhood and Elementary I and Elementary II. In 2012, she was elected to the Board of Directors of AMS. D’Neil has been teaching for over 50 years. She taught 10 years in traditional education and then fell in love with Montessori after her first child was born. D’Neil has 2½-7+ certification from AMI in Atlanta and 6-12 certification from AMS at CMTE/NY. D’Neil has an MEd. in Guidance and Counseling and a Certificate in Administration and Supervision. She ran her own Montessori school for 21 years in Georgia and is a former member of the AMS board. She has been doing teacher training for 25 years working at CMTE/NY and INE in Puerto Rico. D’Neil travels around the country with her husband, Michael, to give talks to parents, professional development workshops to teachers and to do school consultations. She also co-authored two books with Michael: Children of the Universe: Cosmic Education in the Montessori Elementary Classroom and Love of Learning: Supporting Intrinsic Motivation in Montessori Students. Michael has been involved in Montessori education since his daughter entered her first Montessori class some 40 years ago. After 21 years as a journalist, he became a teacher, earning AMS 6-12 credentials through CMTE/NY. He was a cofounder of Blackstock Montessori School in Villa Rica, GA, and has experience teaching 6-9 and 9-12, as well as running the school media center. In addition to his Montessori credentials, he holds a B.A. in philosophy, an M.A. in theology, and an M.Ed. in media education. Michael has presented at local, national and international conferences, has consulted at numerous schools around the country, and has been a teacher trainer for CMTE/NY and other Montessori teacher training programs in Puerto Rico and Vancouver. He is the author of Math Works: Montessori Math and the Developing Brain and is the co-author of Children of the Universe: Cosmic Education in the Montessori Elementary Classroom and Love of Learning: Supporting Intrinsic Motivation in Montessori Students. He and his wife, D’Neil, live in the Shenandoah Valley of Virginia, within a day’s drive of their four grandchildren. Dan is the Elementary Director at Hilltop Montessori School in Brattleboro, VT. Dan has taught in the Upper Elementary classroom at Hilltop since 2004. He now also teaches lessons in the Lower Elementary classroom and is the elementary art teacher. Dan has a B.A. in art (Yale University), an M.A.T. (Brown University), and an AMS 6-12 credential (CMTE/NY). Seth is an Upper Elementary teacher at Lexington Montessori School. He has worked with elementary students for the past 15 years at Montessori schools in Texas, Pennsylvania, and Massachusetts; though his first exposure to Montessori came as a student himself, attending from age 3 through 3rd grade. Seth has presented at local and national Montessori conferences in the areas of ecological sustainability and self-regulation. His interests include ecology, peace education, and music. He holds a B.S. in Music (Indiana University), an M.Ed. in Curriculum and Instruction (Baylor University), and an AMS 6-12 credential (Houston Montessori Center and CMTE/NY). Shaina is a Lower Elementary Teacher at the Cambridge Montessori School in Cambridge Massachusetts where she has worked at the 3-6 and 6-9 levels since 2000. Her love of Montessori began when she attended a Montessori school from the age of 3 through the third grade. Shaina has a B.F.A. in creative writing from Emerson College, a 6-9 credential from CMTE/NY and joined the CMTE/Lexington staff in 2005. She is proud to be the mother of two second generation Montessori children. Biff is Director of Faculty and Curriculum Development at Lexington Montessori School, Lexington, MA, where he also teaches upper elementary students. Involved with Montessori since 1974, Biff is an AMS seminar presenter and consultant, and was formerly chair of the Teachers’ Section and a member of the AMS National Board of Directors. He has a B.A. in psychology (Duke University) and an M.A. in education, AMS Early Childhood and Elementary 6-9 credentials (Xavier University), and an AMI 6-12 credential (Bergamo, Italy). Biff is the proud parent of two Montessori graduates. Lydie is a writer and educator with more than 20 years experience in the field of Montessori education and over 12 years experience as a freelance writer publishing work in newspapers, magazines and online, most recently for Insideschools.org, a website for families navigating school choice in New York City. Lydie taught in a Yonkers public Montessori school for six years. Prior to that, she taught 3-6 year olds and started the 6-9 elementary program at the Michelle Norris Montessori School in Ann Arbor, MI. She has a B.S. in Special Education (Eastern Michigan University), an M.S. in Education (Bank Street College), and an AMS Elementary 6-9 credential (CMTE/NY). Sheila has helped develop programs and curriculum at the Chemung Valley Montessori School in Elmira, NY since 1976, beginning with a 3-6 class of 12 students. She has taught children at the Early Childhood, Lower Elementary and Upper Elementary levels, and was head of the school’s 9-12 team for 25 years before becoming Academic Dean in 2016. She is a reading and writing specialist and facilitates writing workshops for children and adults. Sheila has worked as a teacher educator since 1995 and has been a workshop presenter at AMS conferences. She serves as a METTC field consultant to schools in NY and PA. Sheila has a B.A. in German (Wilson College), an M.S.Ed. with a concentration in reading (Elmira College), an AMI 3-6 credential (Minnesota), and an AMS 6-12 credential (CMTE/NY). Vanessa is currently the Director of Academic Affairs and Montessori Coordinator at the Qingdao Amerasia International School in Qingdao, China. She has over 15 years of teaching experience and 9 years of leadership in Montessori education. She received her Bachelor of Arts degree in International Relations from Long Island University and, subsequently, a Master’s of Science degree in elementary education from Hofstra University. Vanessa is a certified public school teacher for grades Pre-Kindergarten through 6th grade. She holds a MACTE early childhood and AMS Elementary 6-9 certification in Montessori. In addition, she is an educational consultant and faculty member for the Center for Montessori Teacher Education. Vanessa recently completed a doctoral degree in Executive Leadership at St. John Fisher College. Holly fell in love with Montessori education in 1979, while teaching creative movement for children and assisting in a Montessori classroom. She has her AMS credentials for both Early Childhood and Lower Elementary, teaching for the past 31 years. In addition, she works as a school consultant and teacher educator. Holly has a B.A. from SUNY at Buffalo and her M.Ed. degree in Curriculum and Instruction from Lesley University, and an AMS 3-6 and 6–9 credentials (CMTE/NY-Lexington). She currently teaches in a Lower Elementary environment at Cambridge Montessori School in Massachusetts. Diana is a Lower Elementary teacher at Lexington Montessori School, where she’s been teaching since 2004. She earned a B.A. in Art History from Oberlin College and an AMS 6–9 credential (CMTE/NY-Lexington). Diana has lifelong experience in the arts and is passionate about integrating the arts in education. She plays violin in the Turkish music ensemble, Orkestra Marhaba. Diana is a parent of two Montessori educated children. Martha presents our Introduction to Montessori and 3-6 Overview program. Mary has been teaching at the Cambridge Montessori School since 1993, first as a toddler teacher, now in the upper elementary class. She joined the CMTE/NY staff in 2002. She has a B.A. in English (Harvard University) and AMS Infant/Toddler and Elementary 6-12 credentials. Dave is currently an Upper Elementary Teacher at the Riverbend School in Natick, MA. He holds an AMS 6-12 credential from CMTE/NY and a B.S. in Accounting from LaSalle University. He joined the faculty of CMTE/NY in 2004. Joel is an Upper Elementary teacher at The Homestead School, located at the director’s century-old family homestead on eighty-five acres of fields, woods, marshes, ponds, and streams in rural Glen Spey, NY. He has 20 years of Montessori experience, including teaching at Penn-Mont Academy, Pennsylvania’s first Montessori school, and an administrative role as Curriculum Coordinator for the Wyoming Valley Montessori School in Kingston, PA. He has worked with the CMTE/NY faculty since 1995 and been an AMS presenter at national conferences. Prior to becoming a Montessori teacher, Joel ran environmental education and camp programs for the National Wildlife Federation, NJ School of Conservation, and the Princeton-Blairstown Center. In addition to his enduring love of nature and the outdoor pursuits, he also has a passion for music and choral singing. He has been involved with a web site project and serves as a technology consultant. He holds an M.A. in environmental education (Montclair State University/NJ), a B.S. in recreation (Pennsylvania State University) and an AMS 6-12 credential (CMTE/NY). Joan dedicated her life to her faith and to the education of children and adults through Montessori principles.